If there’s one trait that ‘ll have you recognize a grappler, apart from cauliflower ears, it is banged up fingers. There’s hardly a grappler that has been training for longer than 3-4 years that doesn’t pack finger tape first when they get ready for training. This is particularly true for Gi Jiu-Jitsu practitioners. Grappling is hard on all your joints, but the fingers get a particular beating. Finger tape goes a long way to alleviate pain and allow for enough range of motion to train effectively. Well, as much as it does its job, finger tape might soon become redundant. Namely, innovative concepts like finger braces are now available, and they’re miles better than taping. 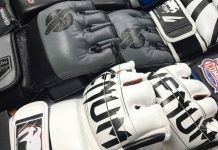 Today, we’ll focus on the best BJJ finger braces that you can get to replace finger tape in 2019! Training is about to get a lot easier and more enjoyable for everyone with banged up fingers! No more joint pain, no more spending precious raining time taping up all your damaged joints together! Finger tap is a magnificent piece of equipment for grapplers, but it seems it’s now past its prime. The times have shifted and the latest product on the subject of joint preservation (or what’s left of them) comes in the form of BJJ finger braces. They’re easy to use, outlast even the sturdiest finger tape and can even be personalized. Even better, they’re now available not just for your fingers but your toes as well! 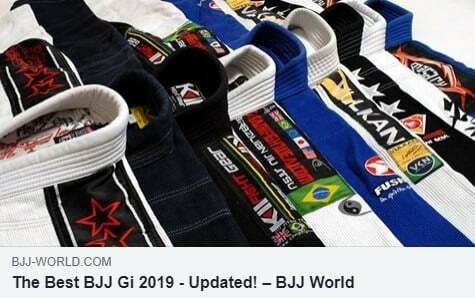 We reviewed all the best BJJ finger braces for 2019 Check them out below! Gripping has a key role in Brazilian Jiu-Jitsu. Gi or No-Gi, nothing is going to happen unless you have your hands and/or feet on your opponent. That said, once you do you need two things. 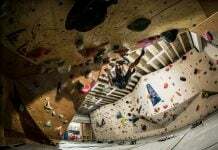 First, you need to know what you’re intention is with every grip. Secondly, you need the grip strength to hold on to those grips, which is where your finger health comes into play. The way grips work in BJJ is the main reason why our fingers suffer so much. Gripping in Jiu-Jitsu is very variable and often includes rather unusual positions of the palms and fingers. When you factor in the Gi and gripping on all of its surfaces you see how fingers have to work overtime. 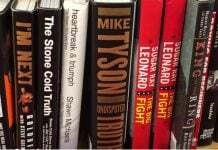 Moreover, certain positions put a real strain on the finger joint just by holding them, let alone working offensively or defensively. Spider guard comes to mind right away when we think of a particular finger damaging position. This puts grapplers in quite the hard spot. We obviously really need grips, but the more we use them, the more our finger joints suffer. The same holds more or less true for the toes. Giving fingers support is one way of dealing with this issue. In that sense, taping the fingers up is the most commonly accepted method. until now. Now, it is time for the best BJJ finger braces to shine! What exactly are BJJ finger braces? 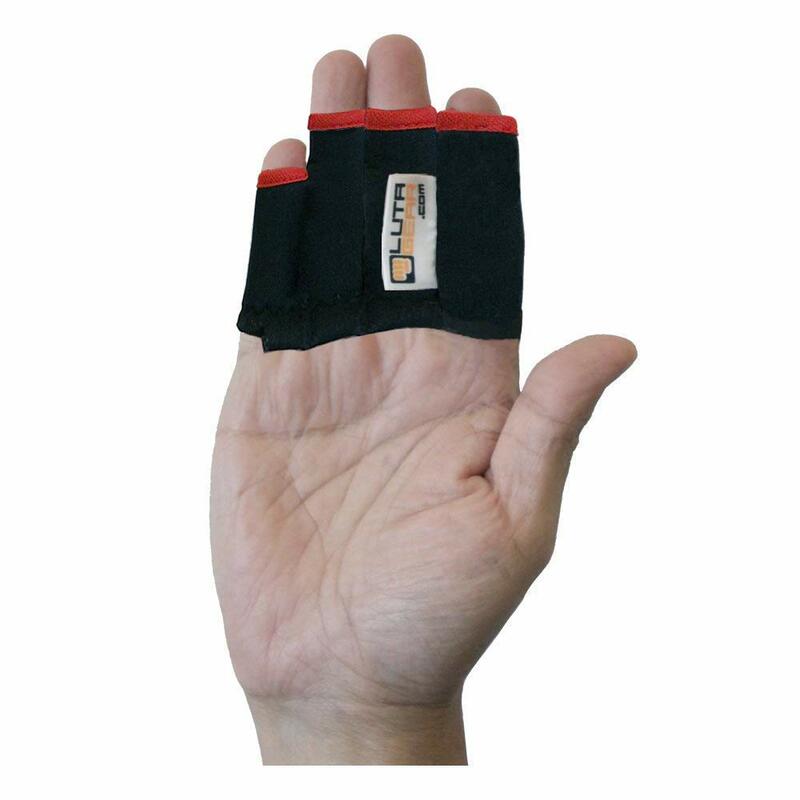 They’re innovative pieces of equipment that ensure that your fingers get all the protection that finger tape offers and more while removing all of the hassles. 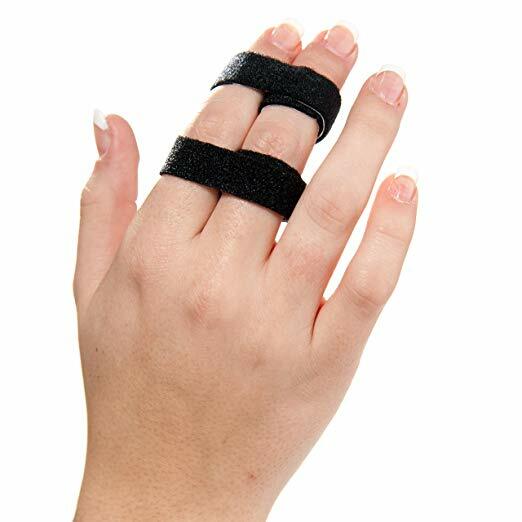 With the best BJJ finger braces, you get immense support and even options to immobilize or support multiple fingers at the same time. The best part is that you can achieve all of this just by putting the braces on, much like sleeves. This makes using them much easier and convenient. The double system is basically like the buddy-system of finger taping. These best BJJ Finger races work by enwrapping each finger individually for complete support. On top of that, the sleeves are interconnected, so that two of your fingers remain together. The sleeves themselves are made of Neoprene and come in combinations for the middle and ring finger, or index and middle finger. 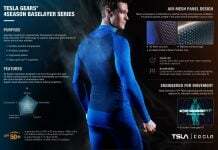 The Neoprene means the sleeves conform to your anatomy and remain tightly in place while not cutting off circulation. The braces come in a bundle, with 2,3,4,5,6 and 7 pairs available within single purchase. Unlike the previous braces, these do not come in the form of sleeves. They are more similar to rings, in the sense that they do not stretch the length of your finger. Instead, these ultra soft foam lined straps are just big enough to stabilize one joint at a time. Similarly to the Luta Gear braces, they come connected in a buddy-system. 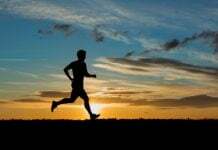 Inner lining ensures no slippage or irritation during training. They’re safe to wash in any machine and are completely latex-free. 3 width levels are available. They come in a pack of 5. The material is a highly specialized blend of Nylon, spandex and gelatine silk. Dense stitching of the composite material ensures complete breathability and a tight fit with absolutely no chance of slipping. They help relieve pain in joints, alleviate aches from injuries or inflammatory conditions and stabilize the finger joints. There’s a distinctive compression effect that is particularly valuable for Gi grapplers. They’re very easy to put on and take off, washing machine friendly and ultra quick to dry. They come in a pack of 5, with varying length to fit all fingers. Given how complete these compression gloves are, they’re a great fit for people that really have lots of finger issues. In grappling, this would be everyone above the purple belt, more or less. 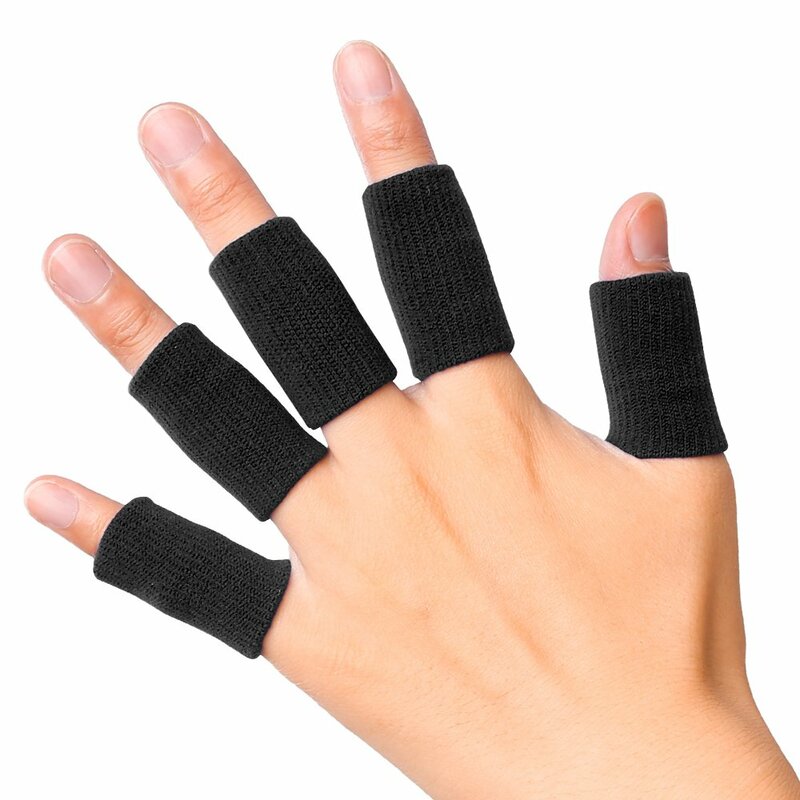 While these will have you looking like Spock, they will take care of dislocated or even broken fingers. They’re extremely durable and very comfortable, very elastic and offer great compression. Moreover, since they’re gloves, they’ll most certainly won’t slip. The material is a Nylon and spandex blend, 100 % antimicrobial. They come in a pair and are available in black and in sizes extra small to XXL. These braces are extremely lightweight and comfortable, and you won’t even know you’re wearing them. At the same time, they provide immense support thanks to strategically cushioned areas. They reduce the pressure on the fingers, allowing them to rest even during hard rolling. 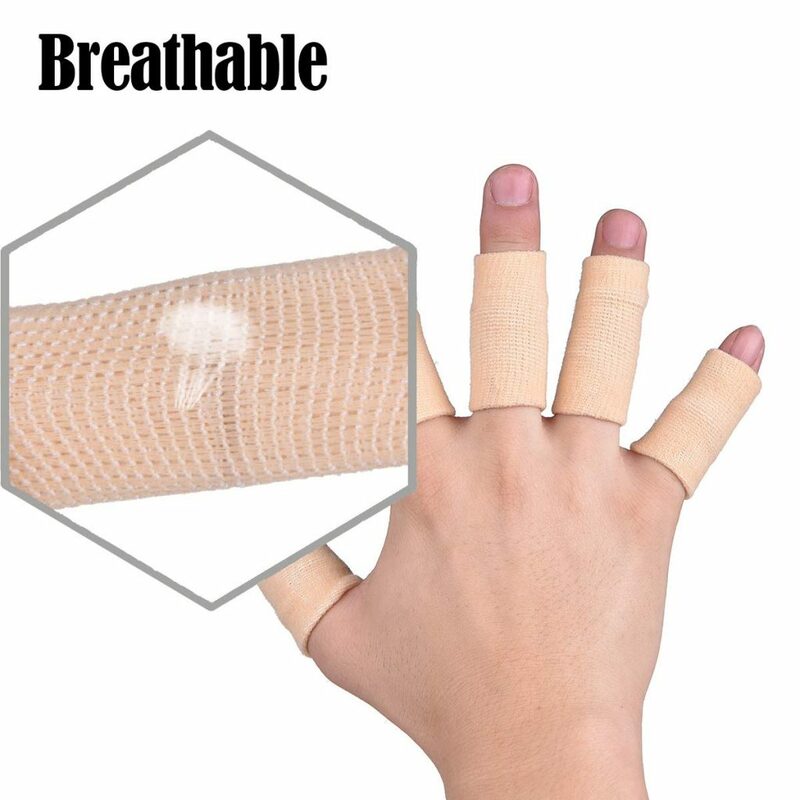 A key feature of these braces is the highly specialized thumb brace, which offers support to a finger that is notoriously difficult to tape even with the best finger tape. These are perfect for grapplers, as they can be worn all at the same time, or individually according to needs. Great fit for those that do not like the buddy-system. What this is, essentially, is a buddy-system brace of four individual finger sleeves. It is a Neoprene only brace, available in black color, with red edges. This finger brace is washing machine friendly, but you should avoid bleach and choose air drying whenever possible. Sizes range from extra small to extra large. Individual finger sleeves are tailored according to the length and needs of every finger. Expect tightness when you first put it on, that later on dissipates due to the Neoprene conforming to your fingers. MInimal interference and maximum flexibility guaranteed! The splint works like a sleeve, basically. 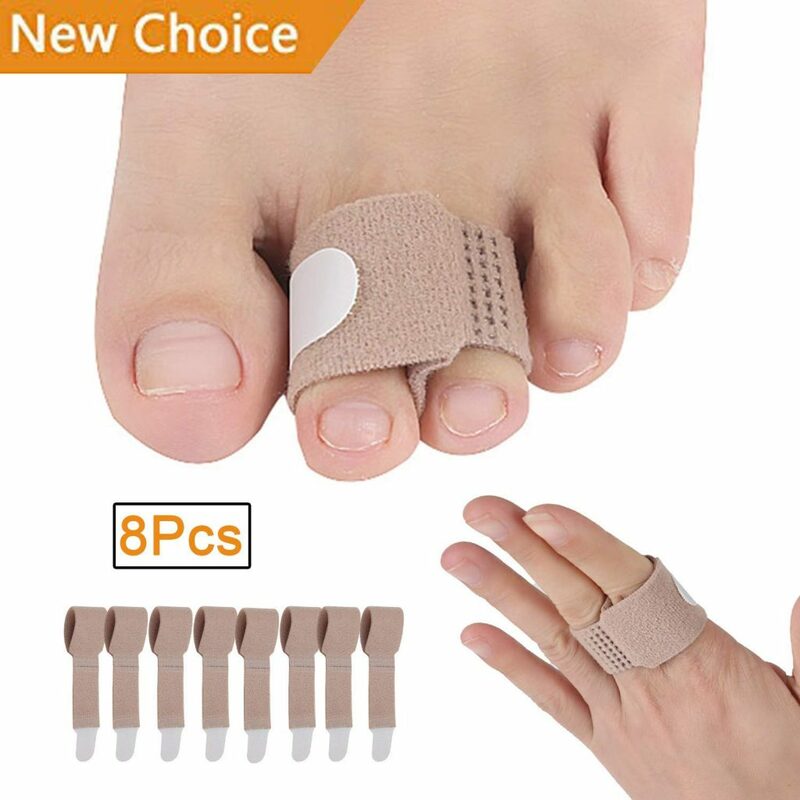 They come in a pack of 8, meaning you’ll have more than enough even if your toes are really mangled. These braces are so good they not only provide support to inflamed or arthritic fingers, but they also take care of broken ones as well. This is due to the fact that once you pull the sleeve on, you can then adjust which toe you include in the buddy-system. Moreover, the wrap around with strong velcro technology means you can control the tightness of the wrap. Includes anti-slip technology and complete protection, compression and support. One size fits all, 100% latex free. 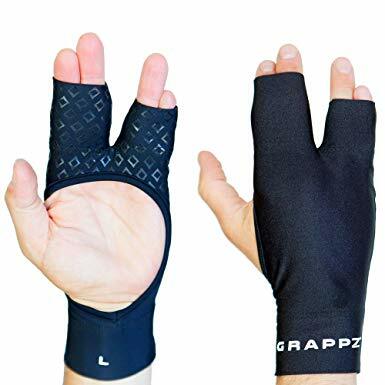 As someone who literally depends on finger tape to get through each and every BJJ training session, BJJ finger braces seem to be a real godsend. They are pretty close in price with some of the best finger tapes out there but they will last a lot longer. Furthermore, they’re extremely easy to use. If you have only one or two jammed fingers or toes this might not be a big deal for you. try taping a few fingers and then a few toes every training session. It takes time and if you mess it up you’ll have to do it all over again. Finger braces are definitely the way to go. They are innovative, but they are made for grapplers by grapplers, which means every base is covered. In that sense, all possible finger combinations are available. Whether you like the buddy system with two, three or four fingers/toes, single finger braces, specialized thumb braces or full on gloves, you’ll find what you’re looking for in our guide above. 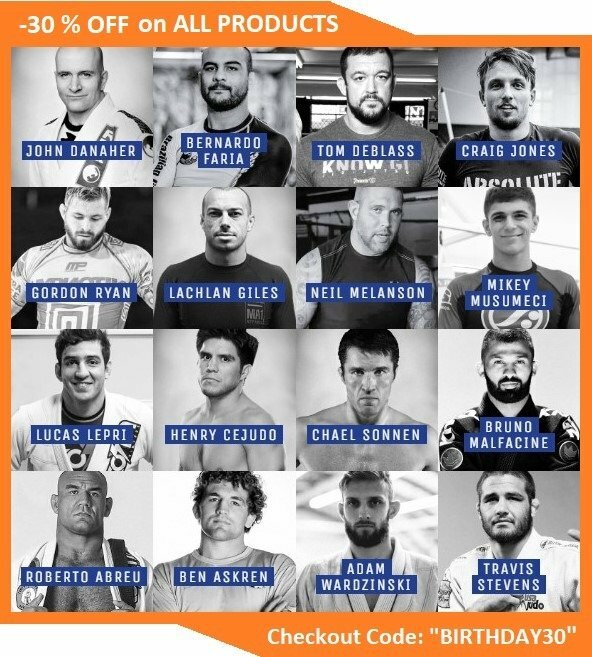 In this instance, innovative technology has certainly done a lot for people involved in Jiu-Jitsu. Put simply, it is time to drop the finger tape and pick up a finger brace or two. They’re easy to use, will last you very long, and are available in all shapes and sizes. Another caveat is that they’re just as easy to take off, and you don’t have to clean them in any special manner. SImply throwing them into the washing machine along with the rest of your gear will do the trick. 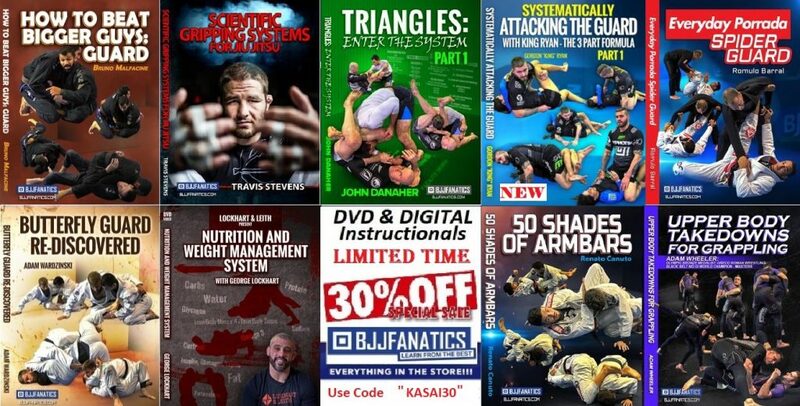 Check out the best BJJ finger braces that are tested and actually work in grappling conditions and enjoy a pain-free 2019!